*DISCLOSURE* Thank you to Cosmos Creations for providing product samples in order to facilitate this post. All thoughts are strictly my own. 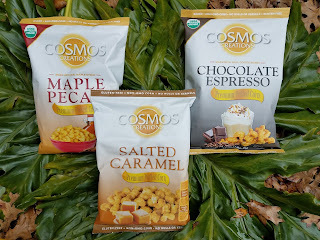 Cosmos Creations are deliciously addictive bite-sized snacks in several expertly blended flavors that are super crave-able! These premium puffed corn snacks are gluten-free, trans fat free and made with non-GMO ingredients. You also won't find any hulls or kernels in Cosmos Creations...just deliciously puffed corn in mouthwatering flavors! Cosmos Creations have two organic flavors, Maple Pecan and Chocolate Espresso, along with several other non-organic, but super tasty flavors like Salted Caramel. We got to try these three out and we loved them! 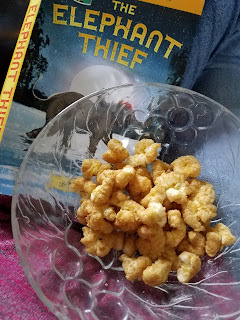 These snacks are an addictive blend of salty and sweet, with that perfect crunch! 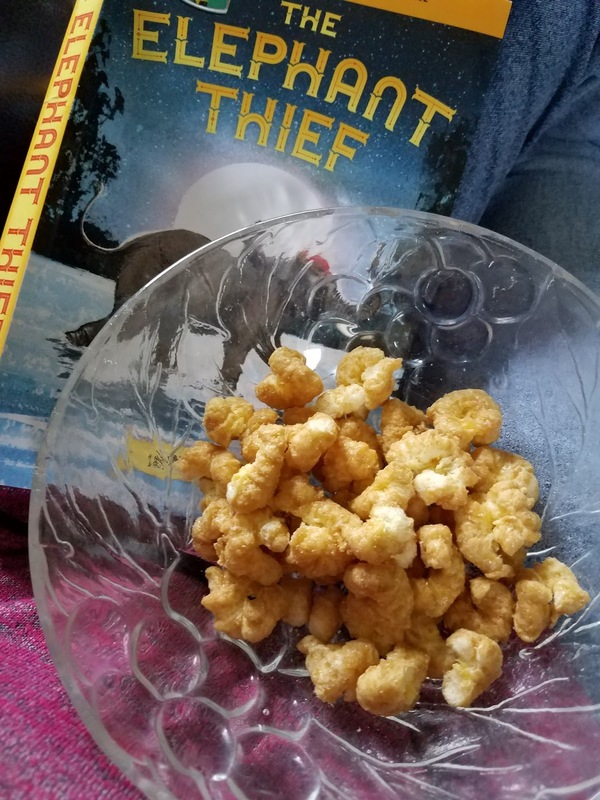 They make a great snack for all ages and are perfect for movie night!